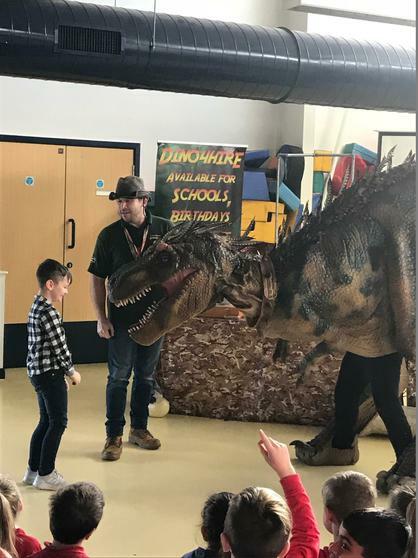 Pupils from Year 3 enjoyed a fantastic workshop thanks to a team of dinosaur experts from Dino4Hire. 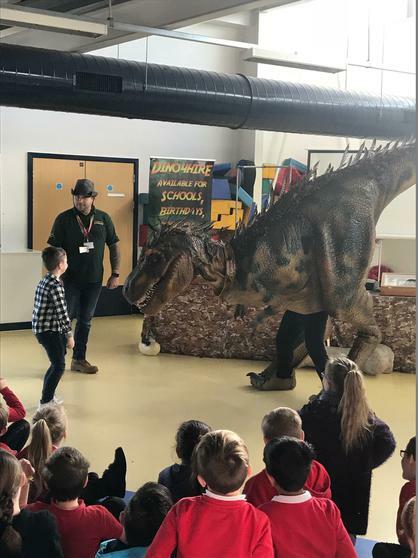 The Year 3 pupils enjoyed finding out about fossils and various different dinosaurs in a highly engaging session. 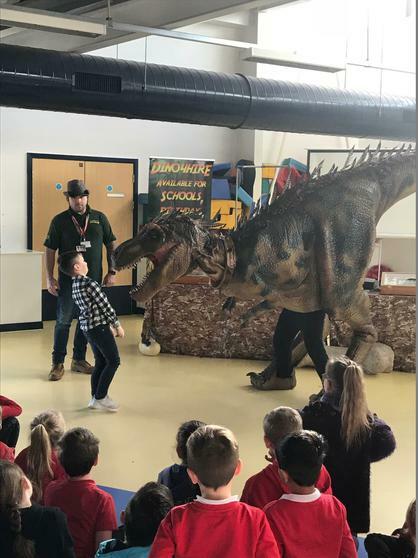 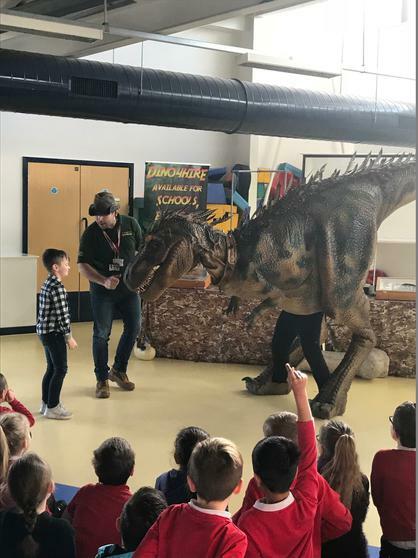 Ronnie the T-Rex was definitely the highlight and pupils were stunned when the dinosaur came to life and started walking around them in the dining hall. 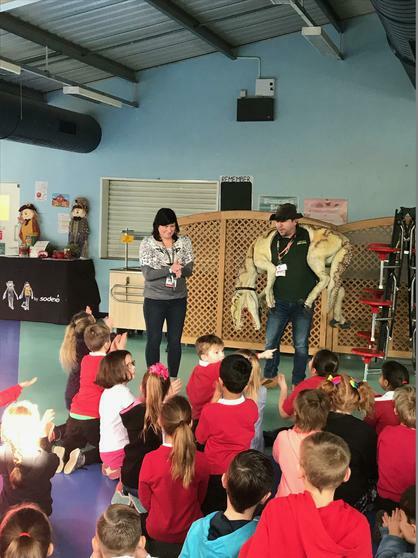 The pupils continued to talk about the workshop non-stop for the rest of the day - evidence of a truly stimulating and reading experience for the pupils in Year 3.